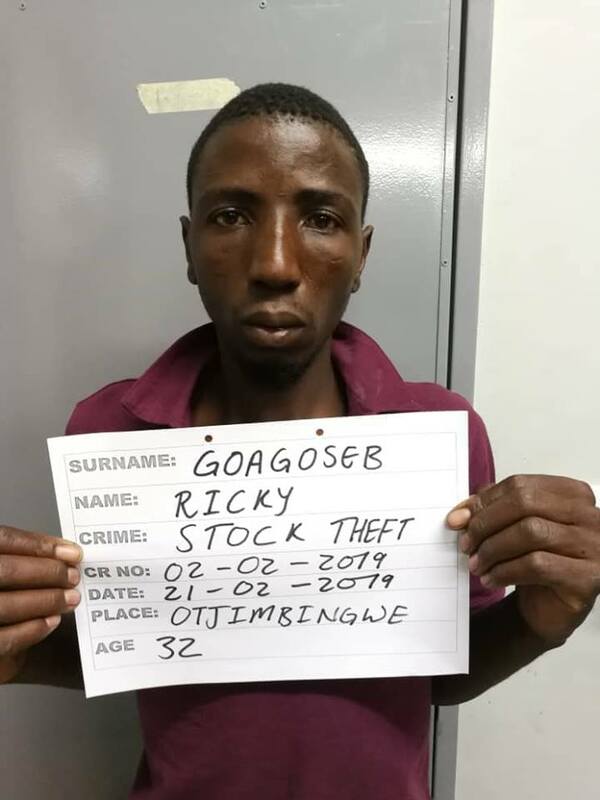 THE 32-year-old Ricky Goagoseb, a prisoner awaiting trial on charges of stock theft, escaped from lawful custody at the Karibib Magistrate’s Court earlier today. 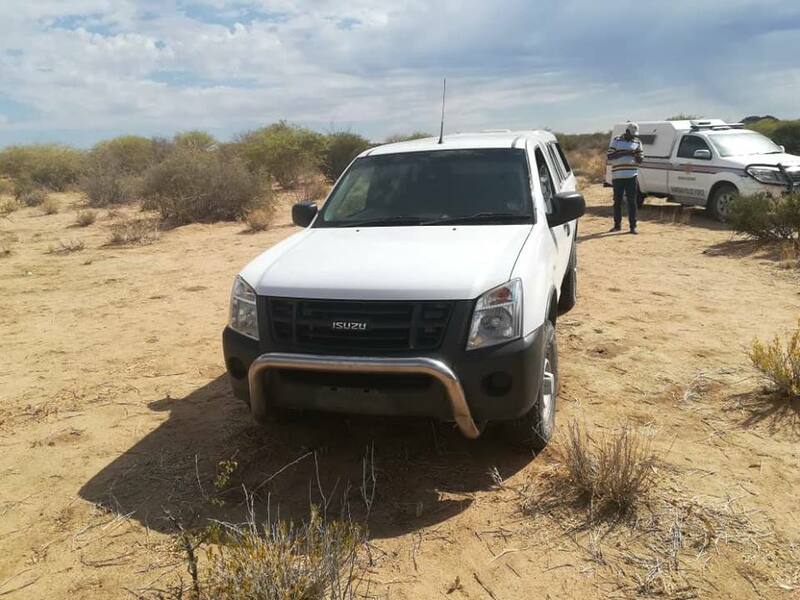 Goagoseb is a member of a cattle rustling gang that have terrorised commercial and communal farmers in the areas between Otjimbingwe, Okahandja, Omaruru and Karibib for months before he and six others were arrested in February this year. According to Deputy Commissioner Erastus Iikuyu, Erongo Regional Crime Investigations Coordinator, Goagoseb escaped from lawful custody shortly after the gang appeared in court in Karibib earlier this morning. Goagoseb was arrested along with six other men in the third week of February this year after police searched for them for two days. In the end Pinias Keib, Sylvester Keib, Stanley Alfeus Keib, Sylvester Gaoseb, Reinhold Uirab and Ricky Goagoseb were arrested. 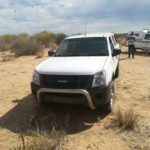 The police also confiscated an Isuzu bakkie the gang used. 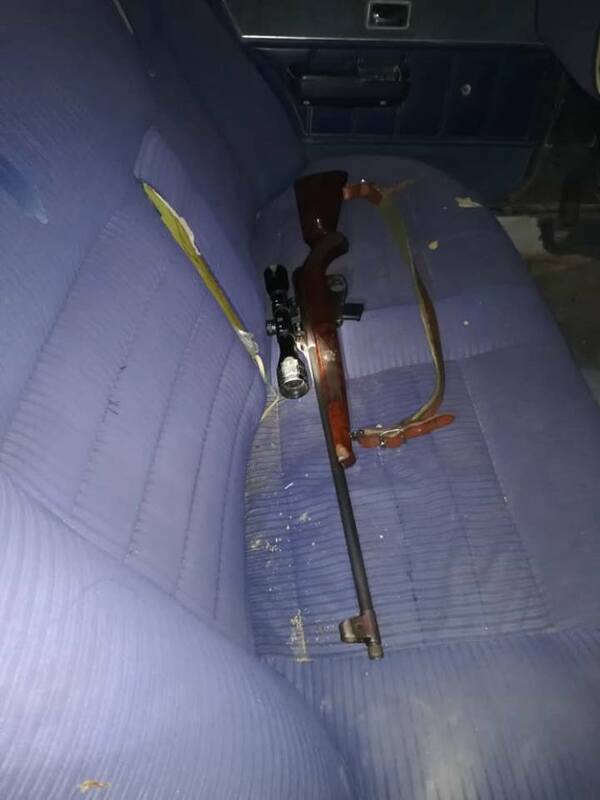 An axe and a .22 rifle with a telescope mounted on it were confiscated by members of the police. The rifle is registered in the name of one Frans Mokwaipe. The gang of cattle thieves stand accused of stealing several heads of cattle from a communal farm near Otjimbingwe. The Police requested the public’s assistance in tracing Goagoseb as soon as possible. Any person with information regarding the whereabouts of the Goagoseb is requested to contact Deputy Commissioner Iikuyu at 081 246 4757, Detective Warrant Officer Nghiteeka at 081 268 9687 and Detective Sergeant Hangula at 081 759 0333 or the nearest Police station.